You can always use another tool to clean up the junk on your computer, and Wise Disk Cleaner helps you do just that. 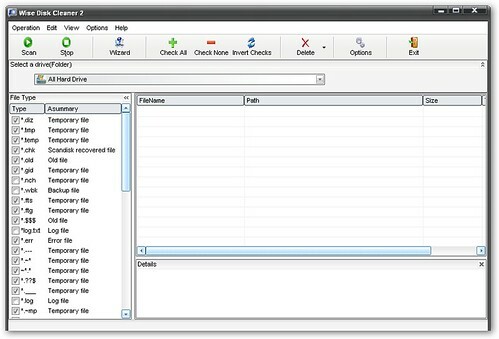 The free program locates and deletes temporary files that are created by many applications (but then never deleted), backup files that you don't need anymore, log files, and error files. It identifies them based on their file extension. You can have Wise Disk Cleaner run automatically or manually as well as whether to delete junk files permanently or just send them to the Recycle Bin. After running it, I found over 110MB of junk files that I didn't need anymore, but I recommend looking through the "junk" files that Wise Disk Cleaner detects in case it unwisely flags something that you want to keep. Related: Need to remove junk, trial programs from a new computer? Check out PC Decrapifier.